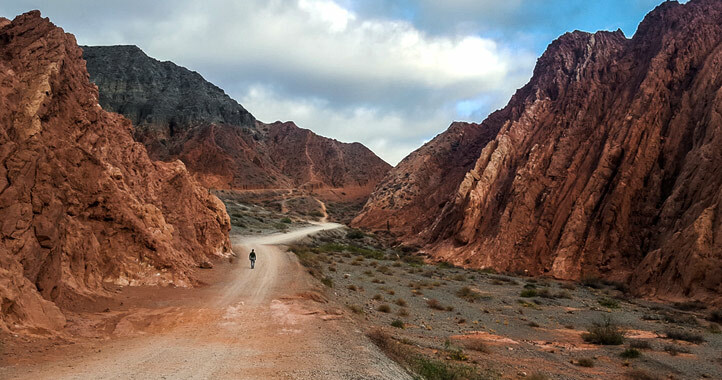 The most beautiful landscapes of the Cuyo region and North-West of Argentina driving to the famous Quebrada de Humahuaca Unesco World heritage sight. 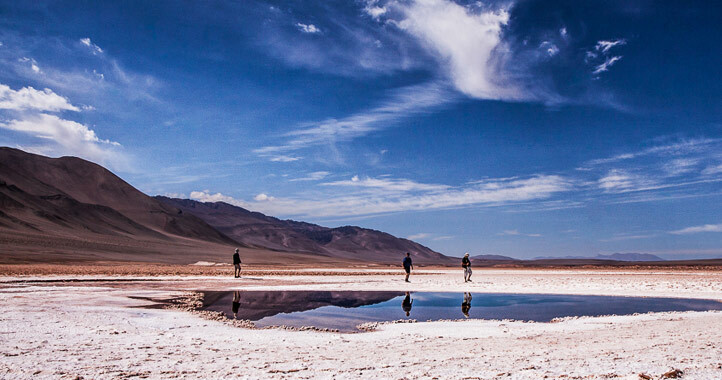 Incredible road trip to discover Iruya lost village in the Andes, the ‘Salinas Grandes’ the 2nd biggest salt desert in the world, San Antonio de los Cobres with its famous Andes train at 4200m/13800ft and the breathtaking Tolar Grande on the Atacama border, highlight of this amazing trip. 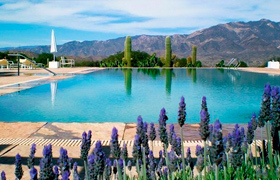 We also planed some relax time in wine resort at Cafayate. This is a once in a lifetime experience, with full comfort and expert guide. 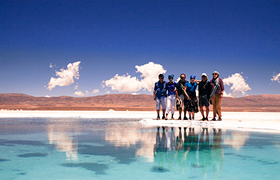 After an early breakfast, your personal guide will pick you up at your accommodation in Mendoza. You will drive North, on the famous route 40, to go straight to Villa Union. Driving through San Juan’s province landscapes, you will rapidly get used to the roads of the desert, with the Andes as the compass. Lunch break will take place exceptionally by the side of the road, surrounded by the immensity of La Rioja. On the menu: homemade empanadas, raw vegetables and fruit salad. Arrival at Villa Union by 05:00 pm approx. Dinner is served at 08:30 pm to enjoy a typical dish: braised goat kid. Set up your alarm at 08:00 am for a departure an hour later in order to reach Talampaya National park, 60 km / 37 miles further. 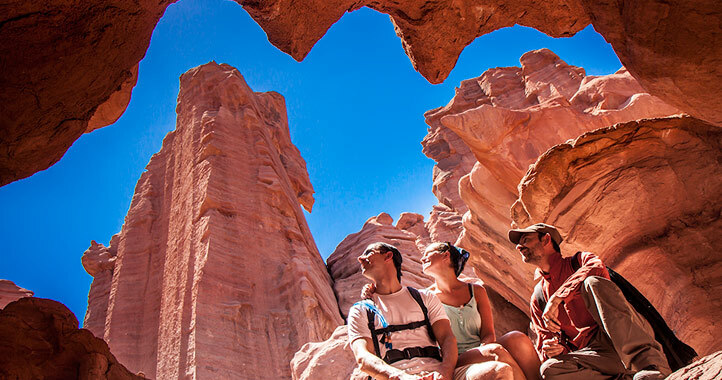 There, a local mountain guide will lead you for a walking visit of the canyon. You will learn about the local fauna and flora. Since 2000, the Park is part of UNESCO World Heritage site. The hike (easy level) is an opportunity to get different views than in the tour bus but also to appreciate the silence in a very special geological atmosphere, in between rocks eroded by the wind and the water for over 80 million years. Lunch inside the park (not included) and then drive to San Fernando de Catamarca to rest in a very charming hotel with a swimming pool (during spring and summer season only: from September to April approx..). 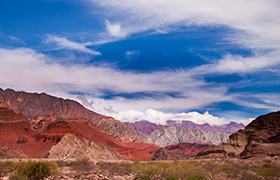 An essential drive to reach the superb Cafayate and its “high” vineyards. 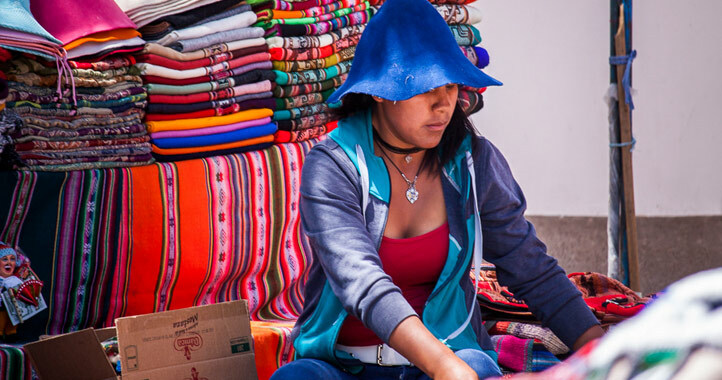 The drive will take you from Tucuman province on road 307 through Tafi del Vallée, famous for its pottery and fabric handcraft. You will follow a scenic route, with a lot of contrasts: from the wet jungle mountain to the semi-desert plains between Cumbre Calchaquies and the high Cordilleras. Going up to the Abra del Infiernillo will allow you to appreciate this sudden change of vegetation and climate. Then, you’ll reach Road 40 again, to head to Cafayate. If timing permits, you will visit Nanni’s cellar, one of the first certified organic winery in Argentina, before checking-in in a luxurious hotel. After a great breakfast, you will head to the winery with the highest vineyards in the world (3,110 m / 10,203 ft): Colomé. 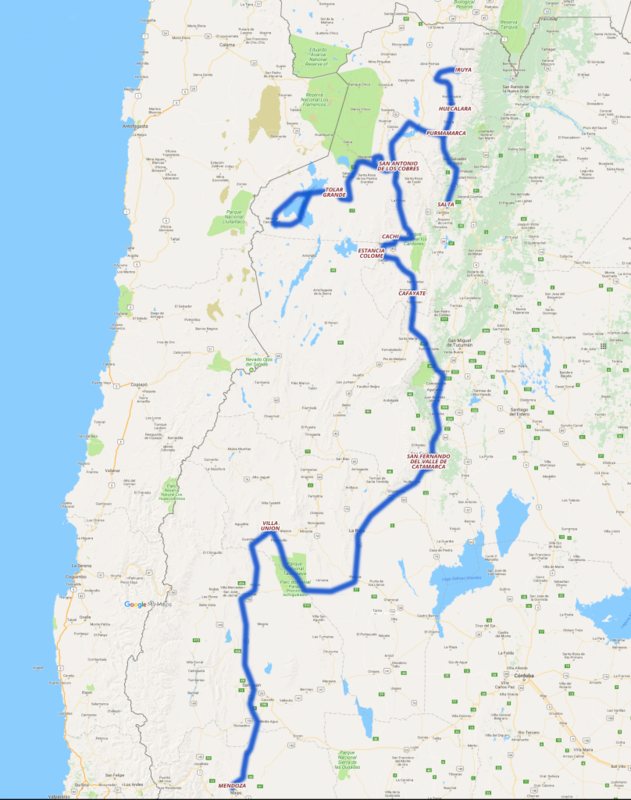 This journey will give you the opportunity to cross the breathtaking Quebrada de las Flechas, on the Route 40 (yes, again!) leading to the winery. 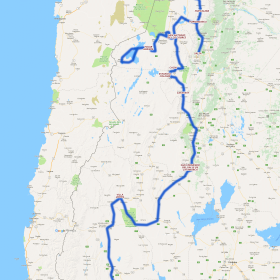 Route 40 (or Ruta cuarenta), is a quintessential road in Argentina, from Ushuaia until Bolivian border, crossing the entire country on the western side, following the Andes. Diner will take place at the Estancia, wine paired with their icon wines. Get ready to cross real cactus desert with tens of thousands of centenarian lookouts (the cactuses seem to stare at you), where your eyes will be lost to the horizon. Fixed with their arms in the air, the candelabras seem to observe this incredible and perfect straight road called “the recta of Tin Tin”. 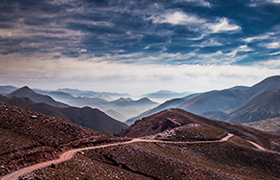 Built in a traditional way by the Indigenous Incas who lived in the area from the year 1480 to 1535 at 3000 meters of altitude (9,842 ft), the road is part of the famous Inca Trail. 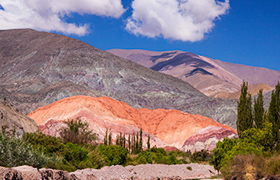 Then, it will be time to go back to one of the most beautiful villages of the Andes: Cachi. 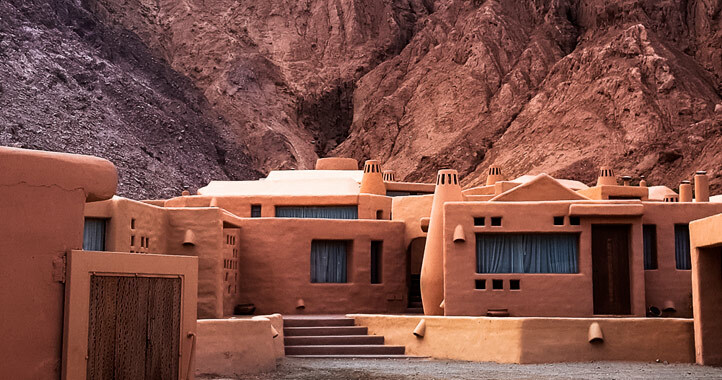 After lunch in the village, you will have plenty of time to relax in the charming hotel and wander in Chachi. 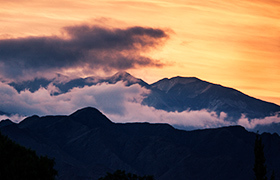 Dinner takes place at the hotel after a magical sunset over the Andes. 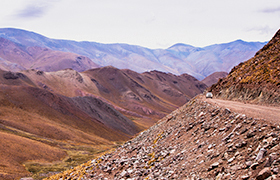 The Abra de Acay is route the highest in the Americas or the highest road in the world after Asia. The road was built in 1960 on the ancient Inca Trail then used to link the valleys Calchaquies to the Andes pre-Cordillera. The road allows now to go from the cold and the aridity of the mountains to valleys made green because of snow melting. The actual altitude of the highest point is 4,972m (16,312 ft) with an average climb of 4.5%. You will climb gently to acclimatize and take care of our vehicle (at 5000m the lack of oxygen is also felt for the engines of our 4×4). You will then enjoy the impressive and inhospitable beauty of the place. The arrival at San Antonio de los Cobres in the middle of the afternoon, give you enough time for a well-deserved rest at 3700 meters (12,1339 ft) of altitude and get ready for the next day adventure, ones of the highlights of the trip: Tolar Grande. 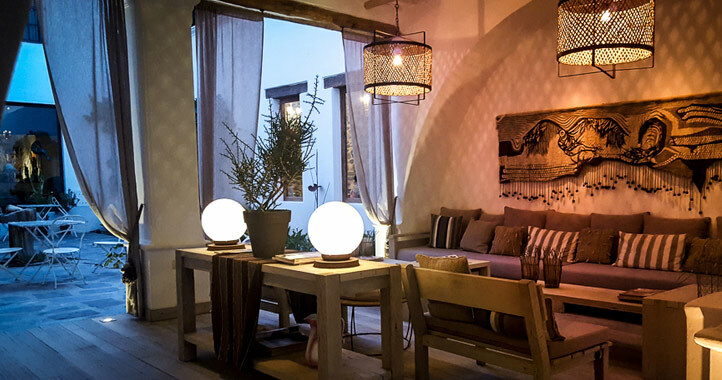 Dinner will take place in the village, home cooking at Quinoa Real restaurant. 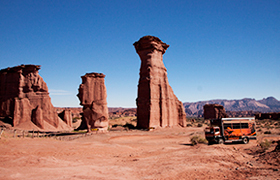 Let’s the off-road adventure started to one of the most incredible places on the planet! It will be three days full of emotions and sensations on the road 27 to Tolar Grande. The drive itself is part of the amazement. The Pocitos salar and the picturesque village nearby, the incredible lines of horizons disturbed by the heat of salt and volcanic stones, the ruins of old railway tracks and its abandoned cars at nearly 4000 meters (13,123 ft) of altitude, then the desert the Devil… A real science fiction landscape, as if we had landed on another planet. Every minute there is a reason to take a new picture or to admire the immensity of the landscapes and the unthinkable diversity of geometric forms surrounding you. Arriving at Tolar Grande is a wonderful surprise, village of 200 souls at 3200 meters (10,498 ft) above the sea level. 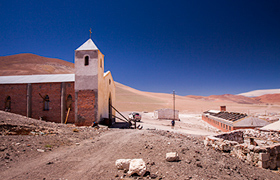 The village is lost between the salt desert and Andean volcanoes. 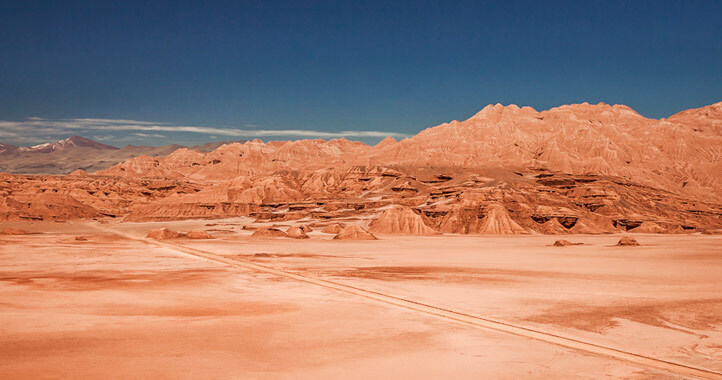 From the sky, the Salar of Arizaro looks like a strange mixture of ochre and white, like a beautiful abstract painting. 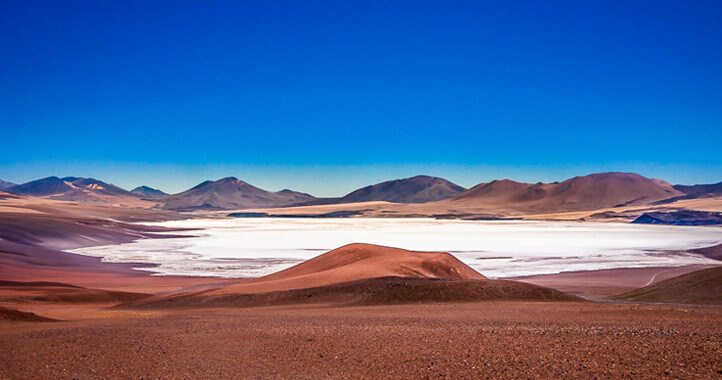 From your 4×4 vehicle, it is 1600km ² of salt, marble, iron and stainless steel in the second largest salt desert in the world, surrounded by the Andes colored by the minerals inside. 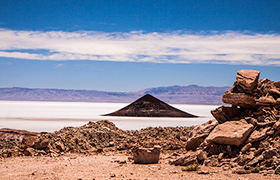 Known before for a large mining activity for longtime, the Salar is now peaceful, located only a few kilometers from the Province of Catamarca and Chile, at Puna of the Atacama. 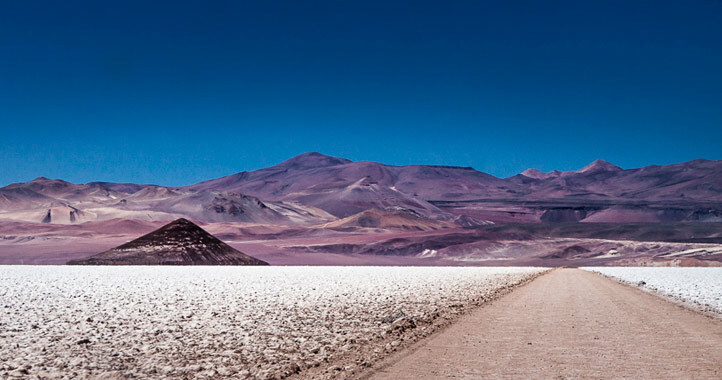 In the southern part of the Salar, you will get to contemplate a mysterious shape: the cone of Arita – considered the most perfect natural cone of the planet. A real science-fictions background. Then, you will go to explore the rests of Mina la Casualidad, which was the “headquarter” of a sulphur mine industry between 1950 and 1979 with up to 3000 people! Nowadays, the mine and the village remain as ruins, as the Argentine state has secretly decreed the bankrupt of this industrial activity. Nevertheless, the stunning landscapes seen from the access road to the old village, is really worth the journey. Located at 4,200 meters high (13,779 ft), you will walk in this ghost town the church, school, some workers’ house and warehouses where have survived. You will also find the cable car arrival station. The cable car was 15km long and was used to transport the sulfur from Mina Julia at 5200 meters of altitude (17,060 ft). Below the cable car, we can still see a white trail left by the sulfur, visible for tens of kilometers away, the proof of a glorious past. 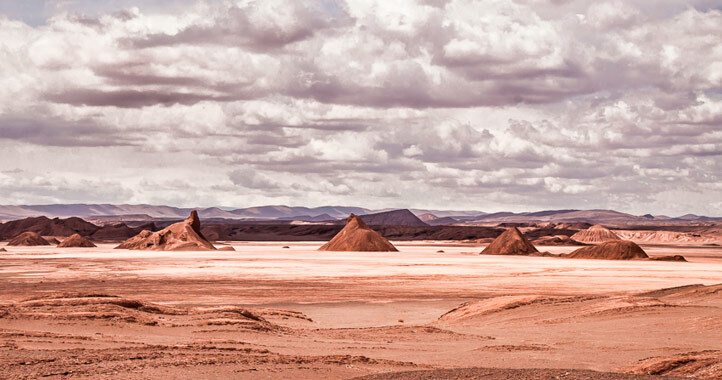 This visit to Mina la Casualidad is intense, the 4×4 vehicles climb slowly through the volcanic rocks and the arid steppes, but it is a one life experience, an unforgettable feeling. The return to Tolar Grande is on a road in good conditions. An optional (but highly recommended) small hike of 10-15 minutes to look at a majestic sunset over the volcanoes at Tolar Grande. A well-deserved meal will be served before a good night in the same hotel as the day before. 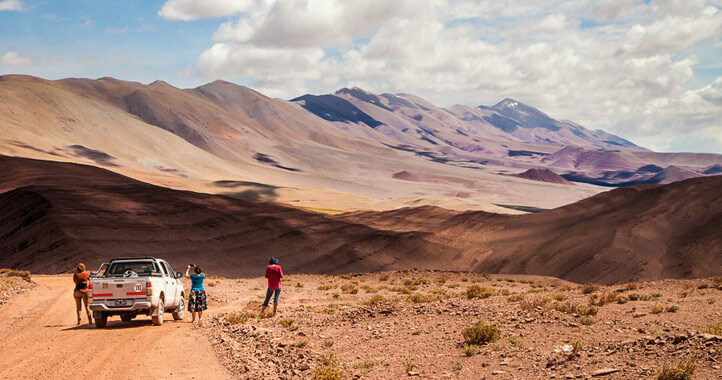 On the way back to San Antonio de los Cobres, you will have the chance to discover new landscapes through the Desierto del Diablo, as spectacular as on the outward journey. Before heading back, you will stop to understand these ‘ojos de mar’, exceptional biological discovery and the only place of the Earth with the Atacama where it is possible to observe stromatolites living at 4,000 meters / 13,123 ft of altitude. 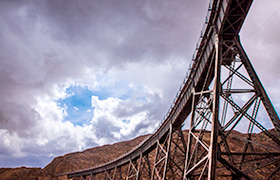 Just before the arrival at San Antonio, you will make a detour of some kilometers to go to see the very famous viaduct of the Polvorilla where the Train to the Clouds (Tren a las Nubes) is riding on: 223 meters / 731 ft of length, 63 meters / 206 ft of height for 1590 tons of steel, the all at 4200 meters / 13,779 ft high of altitude (one of the highest railway bridges worldwide). Overnight in the same hotel as Day 6 and dinner in our favorite restaurant (why will we change if everything is perfect?). 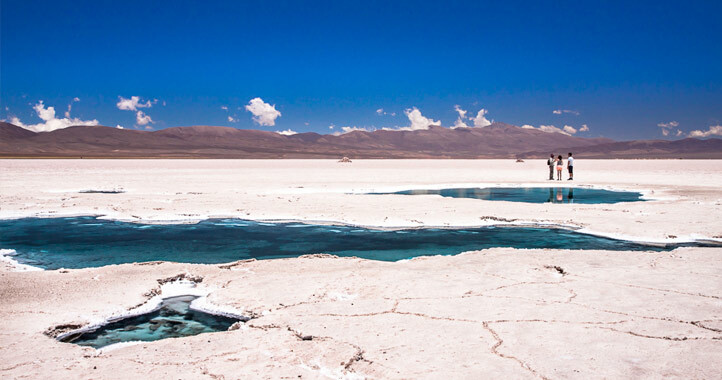 Perched at 4,000 meters (13,123 ft) high above the sea level on Route 52, the first stop of the day will be at the Salinas Grandes, an area large of 212 km². A complete visit is necessary to understand the saltworks and admire the eyes of the seas, blue mirrors in the vast alkaline. Then, you will keep going to the East and drive on the stunning Cuesta del Lipán and its hairpins, 4,170 meters (13,681 ft) high. 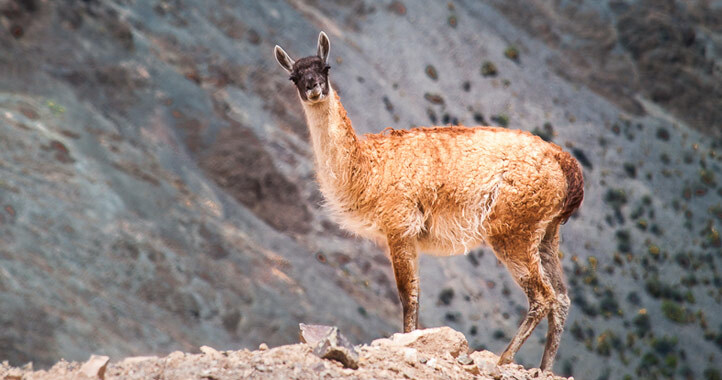 A great opportunity to meet vicuñas and guanacos (lama’s cousins), surrounded by astonishing landscapes where the immensity will remind you of our human being conditions: tiny organism in the universe. 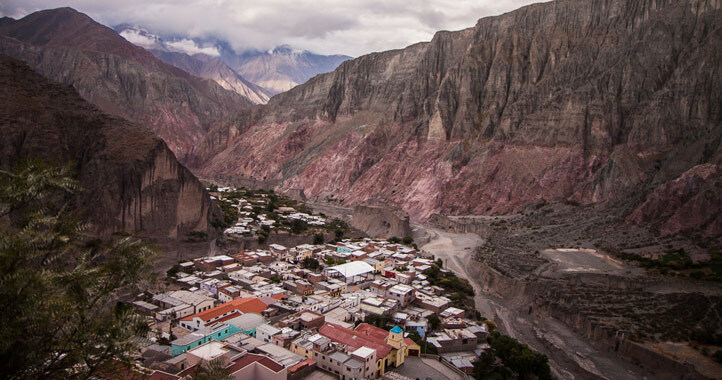 Overnight at Purmamarca, one of the most remarkable villages in Argentina, known for its 7-color mountain and its markets … Sunset on the Andes and a nice dinner at our beautiful hotel in Purmamarca center. Early wake-up for those wishing to experience an hour and a half walk in Purmamarca and appreciate a beautiful sunrise on the Camino de los Colorados. For the others, a relaxing and hearty breakfast will be served. Then, take time to visit the small village and get the most of the thousand flagrances and colors. 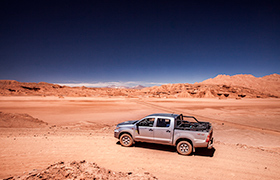 When lunch will be approaching, you are driven to Tilcara, making a few photo stops along the breathtaking road 9, in the famous Quebrada de Humahuaca (UNESCO heritage sight). 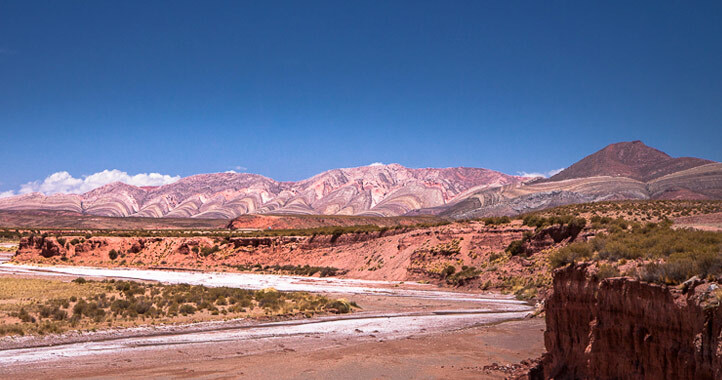 After lunch in one of the many restaurants of this quaint village, you will drive up to the Garganta del Diablo, for a refreshing walk in a geological rift. It is also an opportunity to see the Quebrada from above and to realize the immensity. Driving to Huacalera where Remy and Alina are waiting for you in their beautiful guest house. Dinner will be a good time for discussions, great wines and excellent regional dishes. 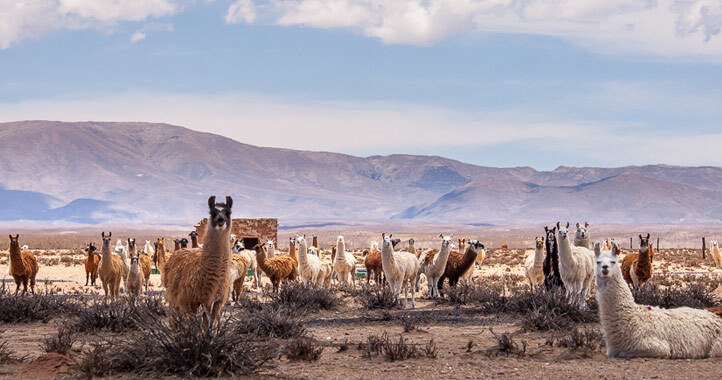 After a great breakfast and a walk nearby our house, you will leave for our last Andean stage: Iruya – often called the end of the world village. 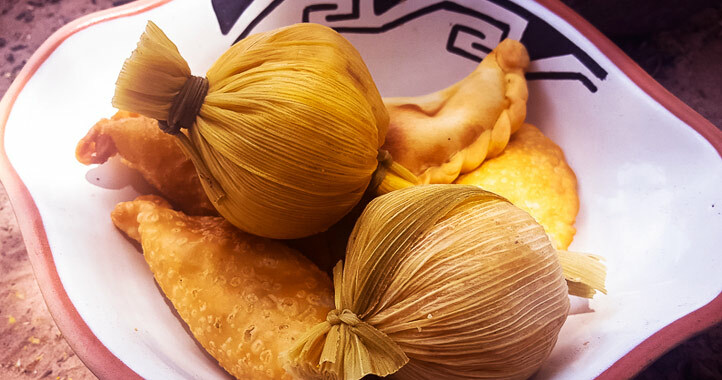 A stop in Humahuaca and its famous markets to buy good humitas and tamales just before the picnic. Only a few more kilometers paved on the road 9 before the magnificent RP133 and 50km of dirt-track to the village. We will go through the Abra del Condor at 4,000 meters (13,123 ft) of altitude for a spectacular view of the hairpins of the track. You will arrive during the second part of the afternoon and after a bracing shower, you’ll be able to enjoy the sunset on the cliff of Iruya, from a panoramic point of view of the village and the Quebrada. Dinner and overnight in a comfortable hotel. There we go! Last breakfast in Quebrada de Humahuaca… and thanks to the Sun, you will warm up during a nice morning walk (for the bravest ones) in one of the faults along the rio (river). The track of Route 133, on the way back, allows you to discover even more landscapes. 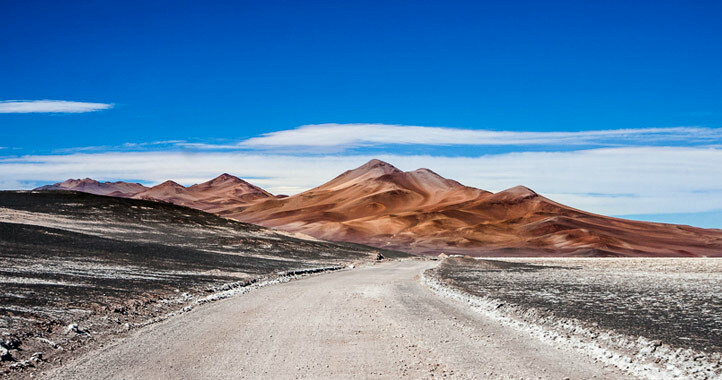 You’ll then catch an asphalt road until Salta, making a stop at Humahuaca or Tilcara for lunch. 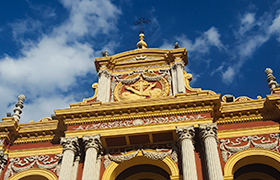 Once settled in your hotel overlooking Salta, you will be able to wander in the downtown, to enjoy the beauty of historical and religious monuments. You will have dinner in the city center. An after-dinner liqueur on the terrace of the hotel (don’t forget to bring with you some delights of your country …) in order to admire the lights of Salta at night. Drop off at the airport or ask for recommendation to extend your stay. Return to Mendoza possible on request. Only for 3 months a year (End December to end March), what about discovering this absolut gem in Mendoza ? A full day climbing to the Maipo Volcano and his amazing lake, where Henri Guillaumet from Aeropostale had to force land and survive. 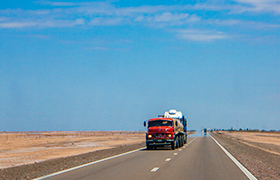 Asphalted roads, tracks in sand and salt deserts. Walk in the deserts and in the puna. Breakfasts are included. Lunches, picnic lunches and dinners for passengers and the guide are not included. Lunch in a standard restaurant is about U$D 10, dinner can be up to U$D 15-30, depending on beverages. Talampaya National Park: Entrance to the park + activity (hike or visit by open roof truck) is between 30-40U$D per person approx.